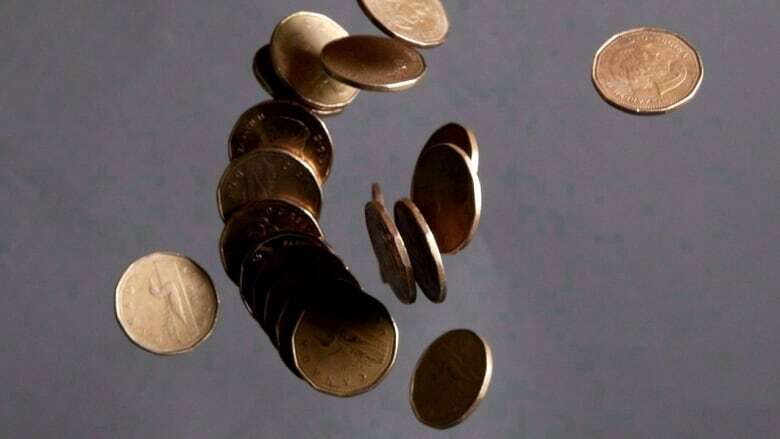 The loonie was the one of the worst performing major currencies in the world in the last quarter, but some analysts say it needs to weaken further to boost the economy. 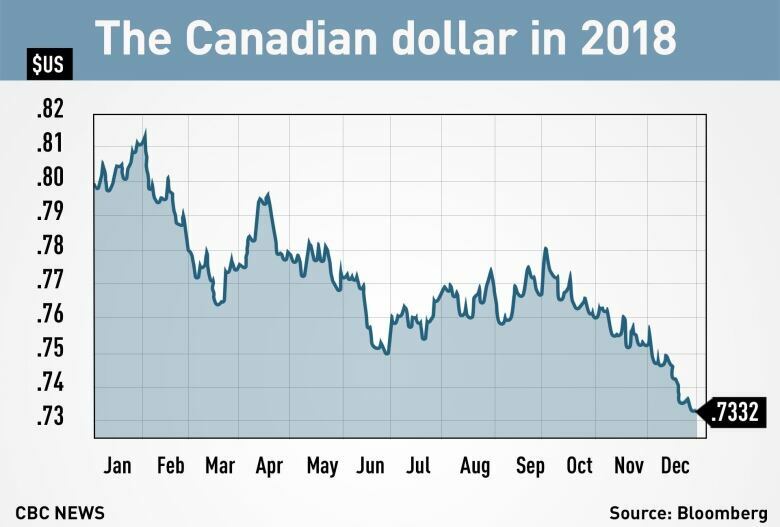 It was a rough ride for the loonie in 2018. The Canadian dollar fell nearly eight per cent against its U.S. counterpart last year — with much of its slide worsening in the fourth quarter — plunging almost six per cent since October. In fact, the loonie was the second worst performing major currency in the world against the U.S. dollar in the last quarter, just behind another commodity currency, the Norwegian Krone, according to CIBC. A combination of falling oil prices, trade tensions, higher interest rates in the U.S. and a stronger U.S. dollar have weighed on the Canadian dollar. While the loonie has started 2019 on the upside rising more than one per cent to around 74 cents US, analysts say it's difficult to predict if things will turn around for the currency this year. Bipan Rai, head of North American foreign exchange strategy at CIBC Capital Markets, thinks the loonie needs to weaken further in the long term in order to make non-energy exports like manufacturing more competitive. "The non-energy trade balance is still in the red. With an uncertain consumption and investment outlook, the Canadian dollar needs to cheapen to bolster competitiveness going forward," said Rai in a note this week. He added that Canada, much like the U.S., is heavily dependent on external funding from overseas investors for its current account deficit. "Ongoing liquidity withdrawal leaves Canada vulnerable and implies that the Canadian dollar will need to weaken," Rai said. The latest data from Statistics Canada shows that foreign investment in Canadian securities fell to $4 billion in October, down from $7.8 billion in September. At the same time, Canadians were also moving more money overseas. Investment in foreign securities increased to $14.9 billion in the same period — the largest investment since January 2018. CIBC's sentiments were echoed by Swiss bank UBS in December, when it called the loonie "overvalued" in its global currency forecasts report for 2019. "The Canadian dollar still stands out as being one of the more overvalued currencies in the G10 space," the bank said. "Canada's external balance remains negative, and would require foreign exchange depreciation to bring it back to a more sustainable level." Loonie sinks to two-week low: Is this the start of another big drop? Meanwhile, the bounce that the loonie has seen this week could be short-lived, according to Shaun Osborne, chief foreign exchange strategist at Scotiabank. "The week so far — albeit truncated by the holidays — looks potentially positive for the Canadian dollar," Osborne said in a note. "Seasonal trends usually run the other way — U.S. dollar-positive, with January delivering the best monthly returns on average for the U.S. dollar over the past 20 years, so some caution is warranted perhaps still." But overall, a lot of bad news may already be in the loonie's price, according to Mazen Issa, senior foreign exchange strategist at TD Securities. "There are notable risks that are likely to prevent it from achieving any meaningful escape velocity to the upside, namely trade woes and decelerating domestic economic growth, in part exacerbated by low oil prices," Issa said. He expects the loonie to remain around 77 cents US for much of this year.